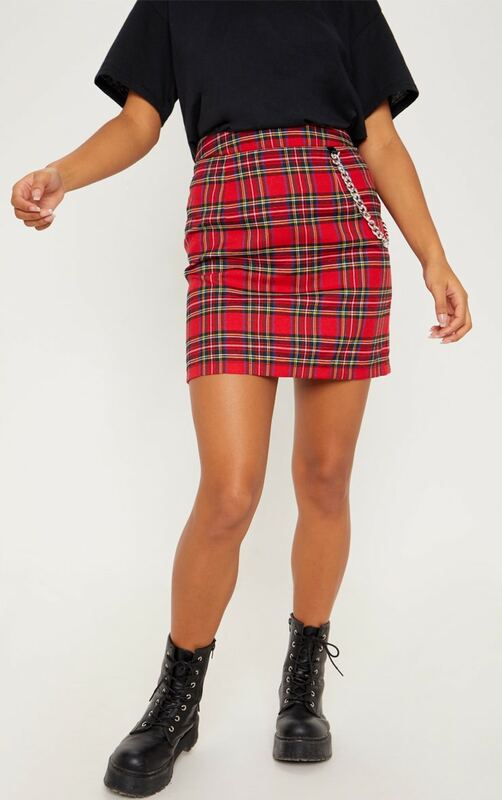 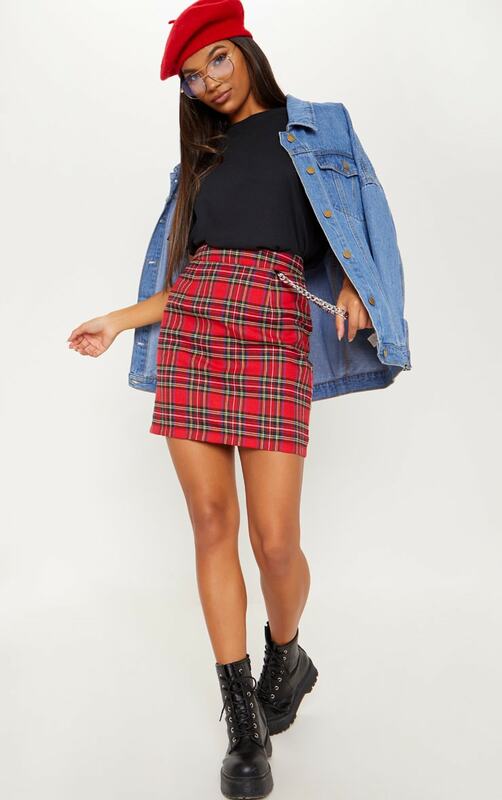 We're loving the tartan comeback doll and this mini skirt checks all the right boxes. 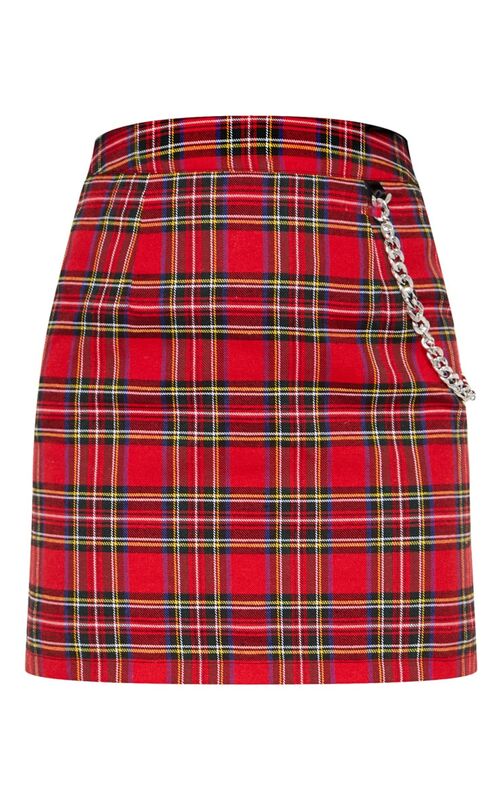 Featuring a red tartan check material with a chain strap and a zip fastening. 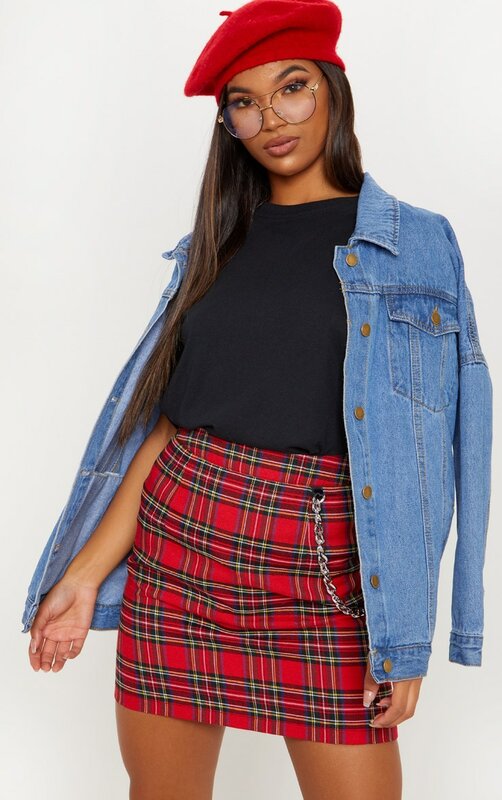 Team it with a black bodysuit and biker boots for a cool, off-duty vibe.